OLD PARKED CARS. 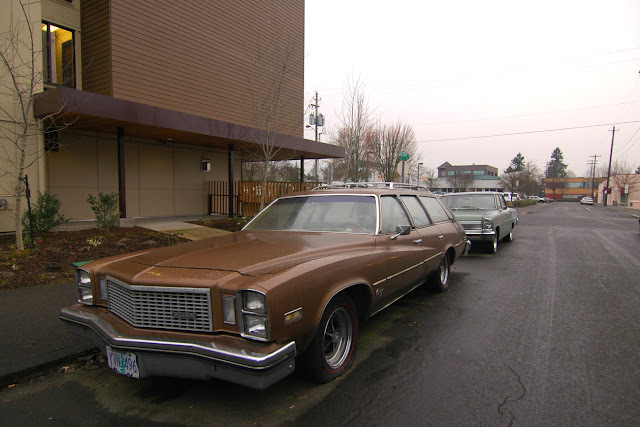 : 1976 Buick Century Custom Wagon. 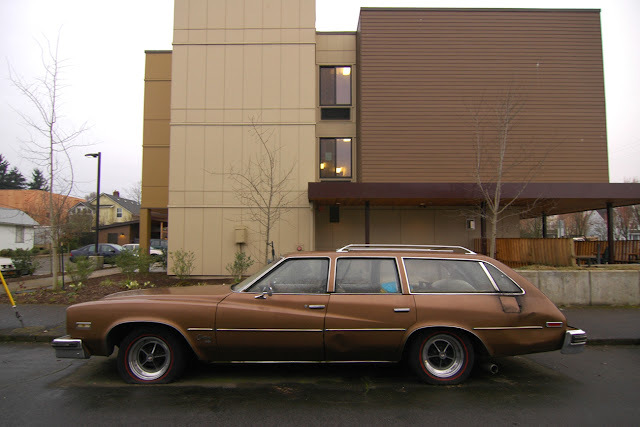 1976 Buick Century Custom Wagon. Wow. Stacked square lights, but out on the wings, unlike the other cars with those lights. 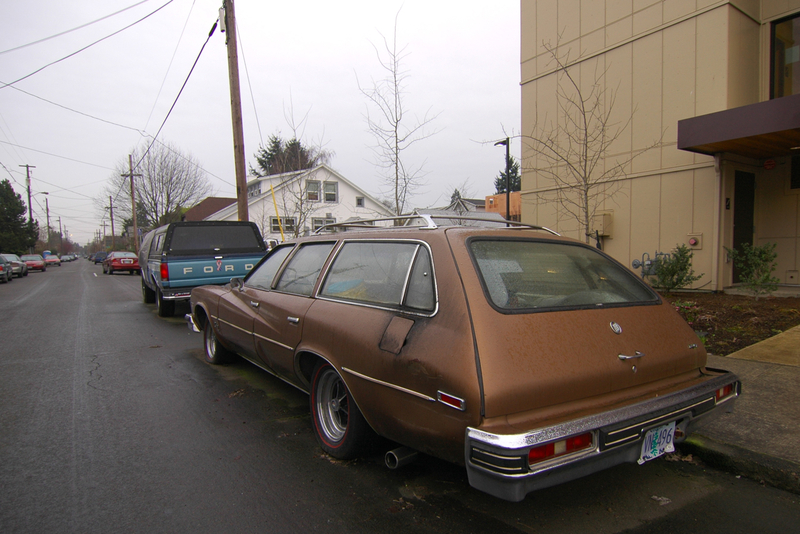 Love the rounded rear end, without tailights. It's interesting how the big slashes in the bodywork mean the handles are at different heights. Red stripe tires look great. I would so drive that....shame about the damage and flat tire. It is still there? Looked at this a couple months ago....red stripes are cool but they are painted on.